How much power does a president have to affect an investigation? Understanding the worldwide cyberattack that's affected hospitals, businesses and FedEx. (LONDON) — A huge extortion cyberattack hit dozens of nations Friday, holding computer data for ransom at hospitals, telecommunications firms and other companies. The attack appeared to exploit a vulnerability purportedly identified for use by the U.S. National Security Agency and later leaked to the internet. The attack hit Britain’s health service, forcing affected hospitals to close wards and emergency rooms. Related attacks were reported in Spain, Portugal and Russia. Two security firms — Kaspersky Lab and Avast — said they had identified the malware behind the attack in upward of 70 countries, although both said the attack has hit Russia hardest. The Russian Interior Ministry has confirmed it was hit by the “ransomware” attack, which encrypts data on infected computers and demands payment, usually via the digital currency bitcoin, to release it. Britain’s health service was also hit hard Friday as the attack froze computers at hospitals across the country, shutting down wards, closing emergency rooms and bringing medical treatments to a screeching halt. Hospitals in areas across Britain found themselves without access to their computers or phone systems. Many canceled all routine procedures and asked patients not to come to the hospitals unless it was an emergency. Some chemotherapy patients were even sent home because their records could not be accessed. Most of the affected hospitals were in England, but several facilities in Scotland also reported being hit. Doctors’ practices and pharmacies reported similar problems. As similar widespread ransomware attacks were reported in Spain, Romania and elsewhere, experts warned that online extortion attempts by hackers are a growing menace. Hospitals, with their often outdated IT systems and trove of confidential patient data, are a particularly tempting target. British Prime Minister Theresa May said there was no evidence that patient data had been compromised in the attack, and that it had not specifically targeted the National Health Service. 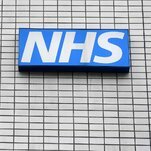 NHS Digital, which oversees U.K. hospital cybersecurity, says the attack used the Wanna Decryptor variant of malware, which infects and locks computers while the attackers demand a ransom. Alan Woodward, visiting professor of computing at the University of Surrey, said there was evidence the ransomware was spreading using a Microsoft flaw exposed in a recent leak of information from U.S. intelligence agencies. He said the affected computers likely had not applied the Microsoft patch or were running old operating systems for which no patch was available. “I don’t believe it will have been a targeted attack, but will simply have been that the ransomware has sought out those organizations that are running susceptible devices,” he said. Tom Griffiths, who was at Bart’s Hospital in London for chemotherapy treatment, said a nurse showed him her computer screen, which carried an image of a padlock. “It had a countdown clock ticking down, stating that all data would be deleted unless a payment was received within that timeframe,” he said. NHS Digital said the attack “was not specifically targeted at the NHS and is affecting organizations from across a range of sectors.” It initially said 16 NHS organizations had reported being hit, and more reports came in as the day went on. Spain, meanwhile, activated a special protocol to protect critical infrastructure in response to the “massive infection” of personal and corporate computers in ransomware attacks. The National Center for the Protection of Critical Infrastructure says Friday it was communicating with more than 100 providers of energy, transportation, telecommunications and financial services about the attack. The Spanish government said several companies had been targeted in ransomware cyberattack that affected the Windows operating system of employees’ computers. It said the attacks were carried out with a version of WannaCry ransomware that encrypted files and prompted a demand for money transfers to free up the system. Patrick Ward, a 47-year-old sales director, said his heart operation, which was scheduled for Friday, was cancelled at St. Bartholomew’s Hospital in London. Griffiths, who was receiving chemotherapy at Bart’s, said several cancer patients had to be sent home from Bart’s because their records or bloodwork couldn’t be accessed. The National Cyber Security Centre, part of the GCHQ electronic intelligence agency, said it was working with police and the health system to investigate the attack. British government officials and intelligence chiefs have repeatedly highlighted the threat to critical infrastructure and the economy from cyberattacks. The National Cyber Security Centre said it had detected 188 “high-level” attacks in just three months. Britain’s National Health Service is a source of pride for many Britons but faces substantial budget issues and has had previous problems with its huge IT system. Ransomware attacks are on the rise around the world. In February 2016, the Hollywood Presbyterian Medical Center in California said it had paid a $17,000 ransom to regain control of its computers from hackers. Krishna Chinthapalli, a doctor at Britain’s National Hospital for Neurology & Neurosurgery who wrote a paper on cybersecurity for the British Medical Journal, warned that British hospitals’ old operating systems and store of confidential patient information made them an ideal target for blackmailers. Quick, informative, fun. VOA’s International Edition brings the world together with U.S. perspectives. Experts, analysts, social media views and newsmakers themselves help tell today’s stories everyone wants to hear. Brighten your day with VOA’s International Edition - on air, online, mobile. Mr. Luttig is a former Justice Department lawyer and federal appeals court judge who was appointed by President George Bush. Widely admired by conservatives, Mr. Luttig left the bench in 2006 to become general counsel of Boeing, a position he still holds. Mr. Luttig would be a throwback pick. Judges were long selected to run the F.B.I. because they were seen as likely to keep agents within constitutional boundaries and were steeped in criminal law. But the F.B.I. mission has changed drastically since the Sept. 11 terrorist attacks, with the bureau now as much a part of the nation’s intelligence apparatus as it is a law enforcement body. Both Mr. Comey and his predecessor, Robert S. Mueller III, were former prosecutors with antiterrorism experience. Mr. Comey, in particular, came to office with broad national security and intelligence experience as a former deputy attorney general during the administration of President George W. Bush. According to one senior White House aide, administration officials have discussed as a possibility Mr. Cornyn, who served as the Texas attorney general. He is one of several possible candidates who are current and former members of the House and Senate. Mr. Gowdy, the South Carolina Republican and a former federal prosecutor, oversaw the Benghazi special investigation in the House. Many F.B.I. agents saw that inquiry as a boondoggle and view Mr. Gowdy as highly partisan. Mr. Rogers is the former chairman of the powerful House Intelligence Committee, who represented Michigan and once served as an agent in the bureau. Respected among agents who felt he was a straight shooter, he probably has the credibility to steer the F.B.I. out of a hurricane of bad publicity. Mr. Trump and his advisers have asked some people whether they believe Mr. Kelly, the former New York police commissioner, would be “loyal,” language similar to what he used in questioning Mr. Comey’s effectiveness, according to people briefed on the discussions. In Mr. Kelly’s case, those briefed said, the White House appeared to be trying to assess whether Mr. Kelly would seek to advance his own image, as Mr. Trump accused Mr. Comey of doing. Reached by phone, Mr. Kelly declined to comment on whether he had spoken with the president about the job. But Mr. Kelly is said to be seen as outside the top tier of candidates because the job is a 10-year appointment and at 75, he is older than many of the other prospects. As police commissioner, he also had a combative relationship with the F.B.I., with the two agencies frequently engaged in turf wars. He was widely disliked among agents who felt he constantly worked to undermine the F.B.I., creating a legacy of mistrust. Kelly Ayotte, the former New Hampshire attorney general who lost her seat in the United States Senate last year, has been pushed by some of her Senate colleagues and some Republican advisers to the White House who believe that she would easily be confirmed. But Mr. Trump has remained leery of Ms. Ayotte, who publicly broke with him during his presidential campaign and criticized him, according to people close to the White House. One other woman has been discussed: Alice Fisher, a white-collar criminal lawyer in Washington who ran the criminal division of the Justice Department during the second half of the George W. Bush administration. George Terwilliger, who helped lead the George W. Bush campaign’s recount efforts in 2000 and served for a time as deputy attorney general under Mr. Bush’s father, is another name being batted about. Mr. Trump could also do something no president has: Elevate a senior F.B.I. official to be the next director. That would be seen as an olive branch to the bureau and would help avoid allegations that Mr. Trump was selecting a political loyalist. Aides to the president did not immediately respond to a request for comment. Chief among the White House’s concerns is that the Senate confirmation process go smoothly, which requires selecting and vetting a nominee who is acceptable to both Republicans and Democrats. Mr. Trump and his son-in-law and senior adviser, Jared Kushner, have made calls to people outside the White House asking their opinions of different candidates. A report in a major U.S. newspaper late Thursday said President Donald Trump summoned Federal Bureau of Investigation Director James Comey to the White House in January where the president asked Comey to "pledge his loyalty to him." Comey was fired by Trump Tuesday, creating a political firestorm and raising concerns in some circles about a constitutional crisis. The New York Times said Comey refused to make the pledge, but instead told Trump that he would "always be honest with him." Trump pressed Comey several times for his loyalty, and finally Comey told the president he would have the FBI director's "honest loyalty," according to the newspaper account. Comey told associates about the dinner and asked them not to tell anyone while he was FBI director, but the associates feel free to talk about details of the dinner now that Comey is no longer at the FBI helm, the Times reported. In an interview with NBC News Thursday, Trump gave a different account of the dinner. The president said Comey requested the meeting because the FBI director wanted to keep his job. The president did not mention a loyalty pledge request. 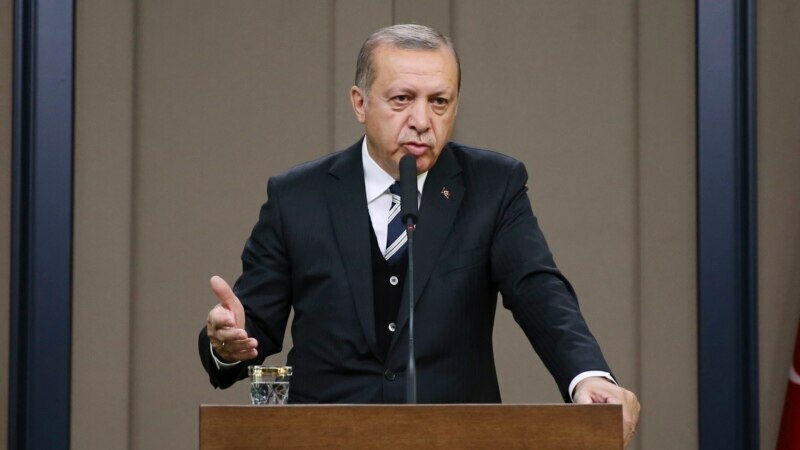 In the television interview, the president said he had asked the head of the nation’s prime law enforcement agency whether he was being investigated. Trump said he asked Comey “if it’s possible, would you let me know, am I under investigation? He said, ‘You are not under investigation.’” The president, in the television interview, repeated “I am not under investigation” when asked about Comey’s sworn testimony that there is an ongoing probe into his 2016 president campaign and possible collusion with the Russian government. 'Highly inappropriate' Legal analyst Bradley Moss, who specializes in national security issues, called such an exchange "highly inappropriate" at a minimum. “There is supposed to be a line that is not crossed, including asking the FBI if you yourself are the target of the investigation,” Moss told VOA. But Moss, deputy executive director of The James Madison Project, a Washington-based organization that promotes government accountability, added it is “difficult to say if it is actually illegal, since Comey allegedly responded that Trump was not under investigation.” Laurence Tribe, a Harvard professor specializing in constitutional law, wrote on Twitter it is “now totally clear that Trump’s firing of Comey was an obstruction of justice. That was the first article of impeachment against Nixon.” That is a reference to former President Richard Nixon, who resigned in 1974 less than a month after the House of Representatives began impeachment proceedings against him. Trump asserts in Thursday’s interview he would have fired Comey even if top Justice Department officials had not recommended it, calling former President Barack Obama's appointee “a showboat. He's a grandstander.” Comey was directing investigations into connections between the Trump campaign and Russian officials, along with possible meddling by Moscow in the 2016 U.S. presidential election. 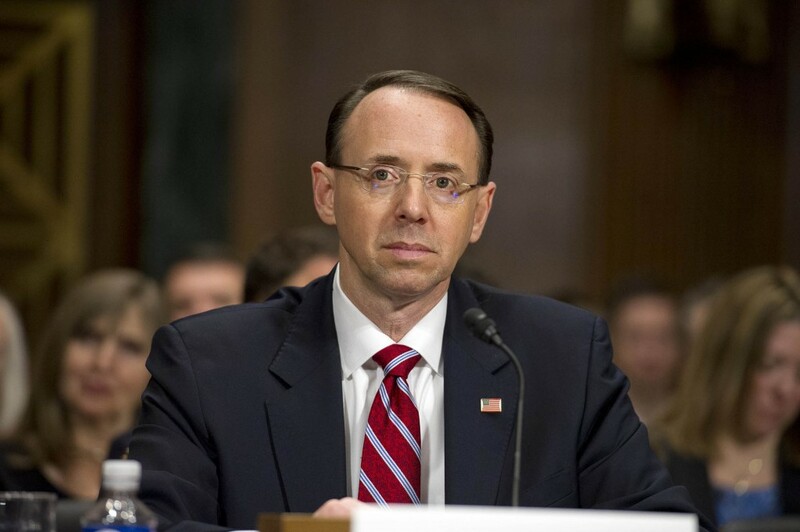 Rosenstein memo The White House on Thursday continued to defend its dismissal of the FBI chief and denied it tried to put the responsibility on Deputy Attorney General Rod Rosenstein's memo for the abrupt removal. “I don’t think there was ever an attempt to pin the decision on the deputy attorney general” for Comey’s firing, said Sarah Huckabee Sanders, the White House principal deputy press secretary. 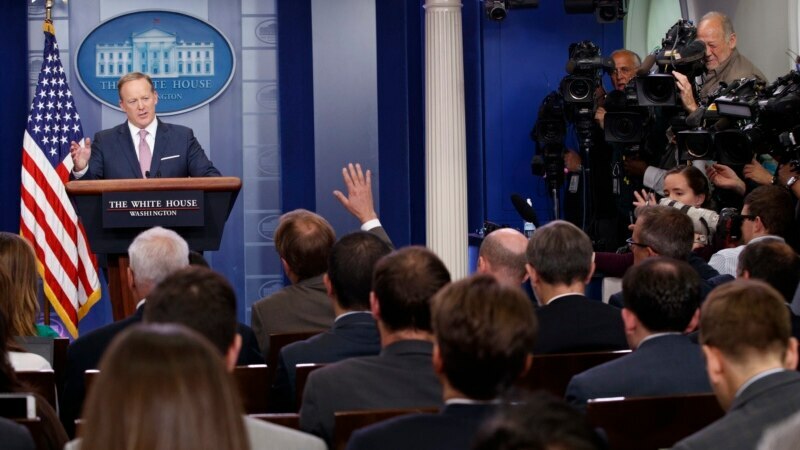 However, Sanders, White House Press Secretary Sean Spicer and even Vice President Mike Pence earlier had asserted Trump’s firing decision was based on the deputy attorney general’s memo. At the center of the scrutiny is whether Rosenstein was instructed to draft a memo justifying Comey's dismissal or whether he decided to write the document without direction. Rosenstein was upset with suggestions made by the White House that his memo suggested he called for Comey’s firing Tuesday, according to The Washington Post and ABC News. Rosenstein’s memo mentioned Comey’s mishandling of last year’s investigation into Democratic presidential candidate Hillary Clinton’s use of a private email server while she was secretary of state. Russian investigation However, news media reports quote sources who assert Comey was ousted because he wanted to intensify the Russia investigation. The firing has prompted Democrats to amplify their calls for an independent investigation of the Russia case. The attorneys general of 20 states are also calling for appointment of a special counsel. Comey was appointed by Obama in 2013. FBI directors serve 10-year terms, to insulate them from political interference, but can be removed by presidents. Until now the only other time an FBI director had been dismissed was in 1993 when President Bill Clinton removed William Sessions who refused to voluntarily leave amid ethical concerns. Kyrgyz President Almazbek Atambaev has asked the Prosecutor-General's Office to drop the lawsuits it had filed on his behalf against RFE/RL's Kyrgyz Service, known locally as Azattyk (Liberty). 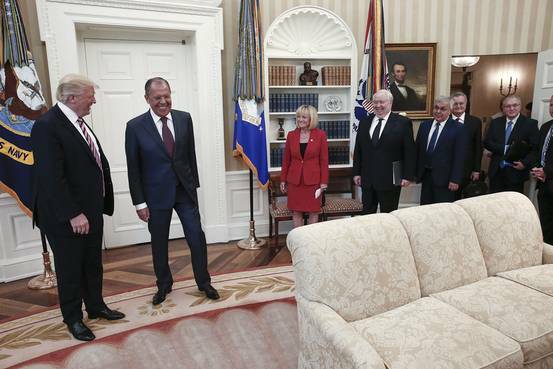 President Donald Trump called on Russia and Ukraine to make peace Thursday, presenting himself as something of a neutral peacemaker between the two nations, a day after meeting foreign ministers from both countries in Washington. from Obama-era domestic policies at the Justice Department, but this decision crystalized Sessions' position in the criminal justice realm. , Sessions outlined his new instructions for charging decisions in federal cases, saying that his new first principle is "that prosecutors should charge and pursue the most serious, readily provable offense." "The most serious offenses are those that carry the most substantial guidelines sentence, including mandatory minimum sentences," Sessions later adds. by mandatory minimums, which provide a statutory sentencing minimum of months below which the judge cannot depart. Sessions also formally withdrew a signature part of Attorney General Eric Holder's "Smart on Crime" initiative, which sought to target the most serious crimes and reduce the number of defendants charged with non-violent drug offenses that would otherwise trigger mandatory minimum sentences. "We must ensure that our most severe mandatory minimum penalties are reserved for serious, high-level, or violent drug traffickers," Holder wrote in a 2013 memo. "In some cases, mandatory minimum and recidivist enhancements statutes have resulted in unduly harsh sentences and perceived or actual disparities that do not reflect our Principles of Federal Prosecution." As a result, during the Obama era, federal prosecutors were instructed not to charge someone for a drug crime that would trigger a mandatory minimum sentence if certain specific factors were met: (a) the relevant conduct didn't involve death, violence, a threat of violence or possession of a weapon; (b) the defendant wasn't an organizer, leader or manager of others within a criminal organization; (c) there were no ties to large-scale drug trafficking operations; and (d) the defendant didn't have a "significant" criminal history (i.e., prior convictions). The effects of Friday's decision are likely to be felt most immediately in the narcotics context where federal mandatory minimums established by Congress can be harsh for even first-time offenders because the sentences are dictated based on drug type and quantity. The firing of FBI Director James Comey has sparked accusations that President Trump is trying to derail the Russia investigation. Chief foreign affairs correspondent Margaret Warner offers background on the man leading the probe, Deputy Attorney General Rod Rosenstein, and William Brangham talks with former Justice Department official Amy Jeffress and former FBI official Frank Montoya Jr.
Dana Boente leaves federal court in Alexandria, Va., on Jan. 26, 2012. Why He Matters: Both of Boente’s current roles involve supervising the ongoing investigation into the Russian government’s ties to Trump’s campaign. As discussed by former FBI Director Comey in congressional testimony last week, and reported by CNN, a grand jury is now gathering evidence in the Eastern District of Virginia as part of its investigation of Michael Flynn, Trump’s former national security adviser, for his ties to the Russian government. Comey also described the broader Russia probe as a “counterintelligence investigation,” a category of inquiry overseen by the National Security Division, which Boente headed after the resignation of Mary McCord last month. Bio: Boente is a career prosecutor who has been with the Department of Justice since 1984, serving under administrations from both parties. 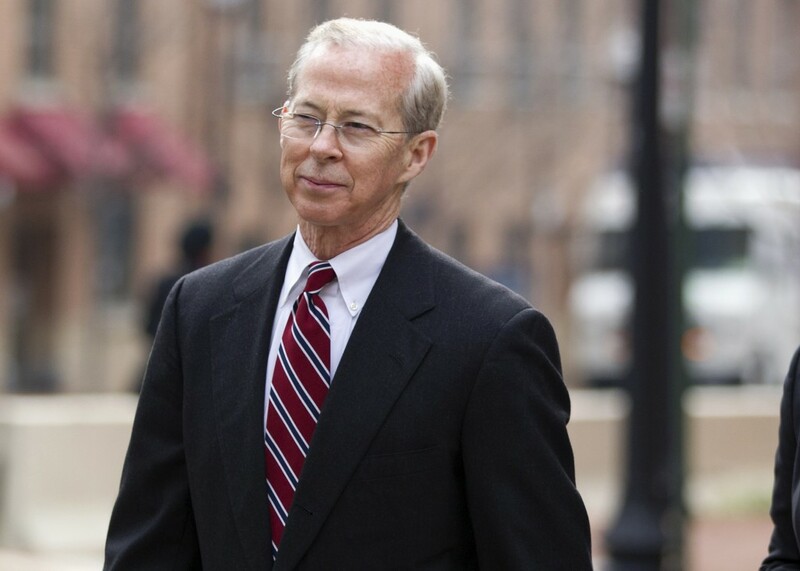 Boente oversaw the prosecution of former Virginia Gov. Bob McDonnell for corruption before the Supreme Court threw out the conviction in 2016, a decision that effectively narrowed the definition of political corruption. In 2015, Boente was nominated by President Obama to serve as the U.S. attorney for the Eastern District of Virginia — a post that handles a lot of national security cases due to its proximity to the Beltway. After acting Attorney General Sally Yates was fired for refusing to defend Trump’s Muslim ban, Boente was appointed acting attorney general and promptly reversed course, unsuccessfully defending it in court. (The Department of Justice has appealed.) Former colleagues told the New York Times that Boente wasn’t playing politics — he probably believes that a ban is legal. 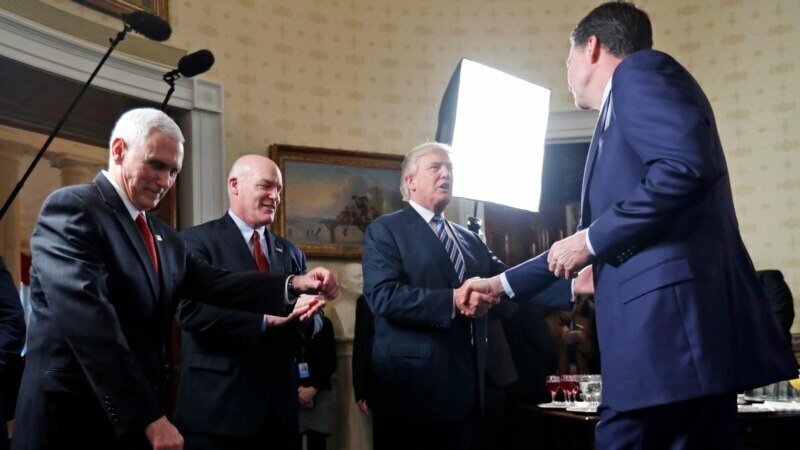 In April, Boente was tapped by Jeff Sessions to lead the department’s National Security Division, which, along with the FBI, is responsible for the Russia investigation. In that role, Boente is also at the center of the Justice Department’s efforts to arrest and prosecute WikiLeaks founder Julian Assange, a move that could set a precedent that severely restricts press freedom. U.S. Attorney for the District of Maryland Rod J. Rosenstein gives testimony before the Senate Committee on the Judiciary in Washington on March 7, 2017. Why He Matters: Sessions promised not to weigh in on the Trump-Russia investigation; nevertheless, he appears to have been instrumental in Trump’s decision to fire Comey, who was leading the FBI’s work on the investigation. If one can still take Sessions at his word, it is Rosenstein who is supposed to be supervising all Trump-Russia matters at the Department of Justice. Rosenstein also wrote the lengthy memo that comes the closest to providing a justification for Comey’s firing. Acting FBI Director Andrew McCabe prepares to testify during the Senate Intelligence Committee hearing on “World Wide Threats” on May 11, 2017. Bio: McCabe spent 20 years in the FBI’s New York field office before Comey promoted him to deputy director last year. 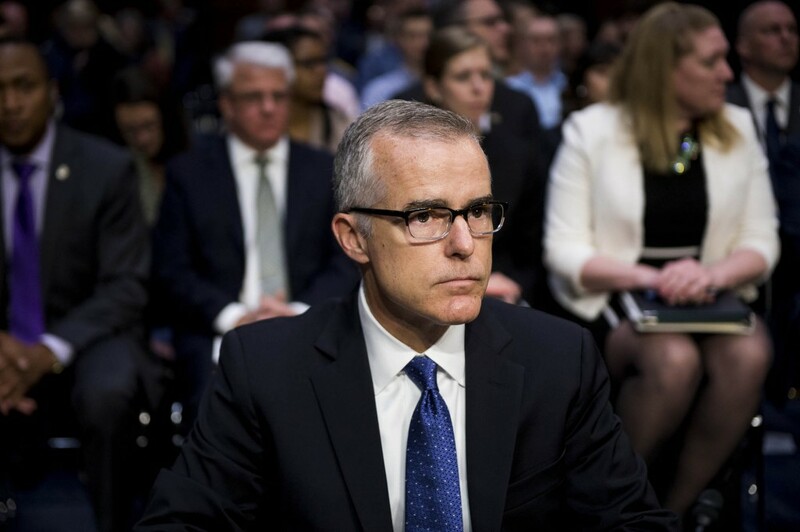 He had significant responsibilities in the investigation of Hillary Clinton’s emails and is currently being investigated by the Department of Justice’s inspector general for not recusing himself from that matter: Republican senators and others have complained that McCabe should have taken himself out of investigation because his wife, Jill McCabe, made a run for the Virginia state Senate in 2015 and accepted nearly half a million dollars in contributions from a political action committee connected to Virginia Gov. Terry McAuliffe. McAuliffe chaired Clinton presidential campaigns in 1996 and 2008. McCabe also figures into a second controversy surrounding contacts between Comey and the Trump White House. The Atlantic and others have reported that the White House asked Comey and McCabe to dispute reports of contacts between the Trump campaign and Russian officials. If those reports are true, Comey and McCabe appear to have refused, but the contacts themselves could violate guidelines designed to shield the bureau from political pressure. Top photo: From left to right: Rod J. Rosenstein, Andrew G. McCabe, and Dana Boente. Two security companies say more than 70 countries affected by cyberattack, with Russia hardest hit. At least 11 activists have been detained on Moscow's Red Square as they were reading Russia's constitution out loud, a group that monitors protest activity says. A National Health Service sign outside a hospital in central London. A spokesman for the service said that 16 organizations, including hospitals and other kinds of clinician services, had been hit by a cyberattack on Friday. President Trump says he's 'very active.' His schedule doesn't. WASHINGTON President Trump has broadened his search for a new F.B.I. director in recent days, moving to install a leader who would be viewed as independent from the White House amid the backlash over his abrupt dismissal of James B. Comey. TUNIS (Reuters) - Libyan military commander Khalifa Haftar, a figurehead in the east of the country, and Fayez Seraj, the head of a U.N.-backed government in Tripoli, appeared at ease as they broke more than a year of deadlock between them at talks in Abu Dhabi last week. 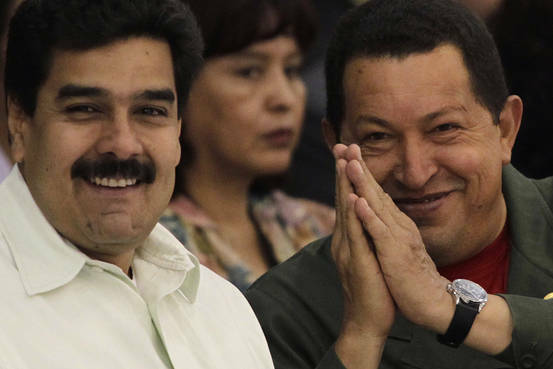 A Brazilian consultant got $20 million of under-the-table funding for work on Hugo Chávezs 2012 reelection, most of it in cash handed over by Nicolás Maduro, the late Venezuelan leaders eventual successor, according to Brazilian court testimony. In the past week, both Twitter's CEO and COO have voiced their support for President Donald Trump's tweeting habits. Um, sure. CEO Jack Dorsey says in an interview that'll air on Sunday TODAY that he believes Trump's tweets keep him accountable. Hospitals in Britain, several companies in Spain and 11 other countries have confirmed attacks to their systems. Patient information does not appear to have been stolen or compromised, according to the A National Health Service of Britain. sign outside a hospital in central London. A spokesman for the service said that 16 organizations, including hospitals and other kinds of clinician services, had been hit by a cyberattack on Friday. WASHINGTON (Reuters) - President Donald Trump will leave on his first trip abroad as the U.S. leader next Friday, stopping in Saudi Arabia, Israel and Italy in a bid to unite Muslims, Jews and Christians behind an effort to shun terrorism, the White House said on Friday. MEXICO CITY (Reuters) - Three senior Mexican officials will visit Washington next week to meet U.S. counterparts, Foreign Minister Luis Videgaray told reporters on Friday, as the two countries warm up to renegotiate the North American Free Trade Agreement. Quick, informative, fun. VOAs International Edition brings the world together with U.S. perspectives. Experts, analysts, social media views and newsmakers themselves help tell todays stories everyone wants to hear. Brighten your day with VOAs International Edition - on air, online, mobile.